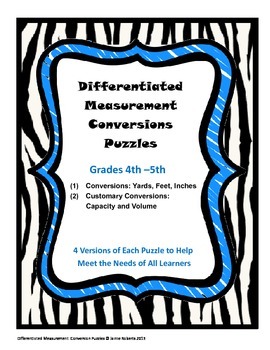 Each puzzle has 4 versions for easy differentiation. 8 Puzzles Total! There are multiple uses for these puzzles. They can be organized and placed in centers. They can be solved independently or with a partner. They can be used for warm-ups, reviews, tutorials, or independent work. If used for independent work or homework, students could sort the cards and then glue down solutions to another piece of paper. 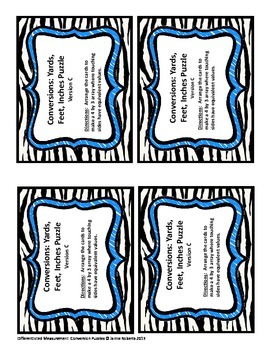 Copy Puzzle Cards onto Cardstock. 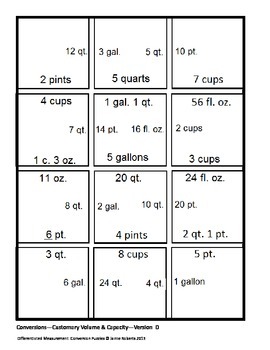 Cut each page into its twelve square pieces, and put each set into a Ziploc bag for storage. Mini title pages are provided to tape to top of bag or store inside of bag with cards. 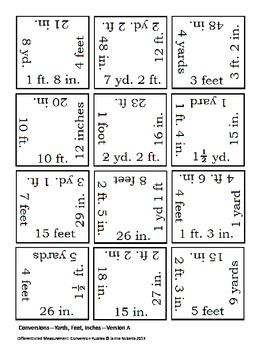 The blank grid can be provided to students to use as a place mat. By copying multiple versions of the same puzzle, you can easily differentiate the difficulty of the puzzles to meet the needs of your students while drawing very little attention to the fact that the difficulty level is varied. Before pages are cut up, each page is it’s own answer key.